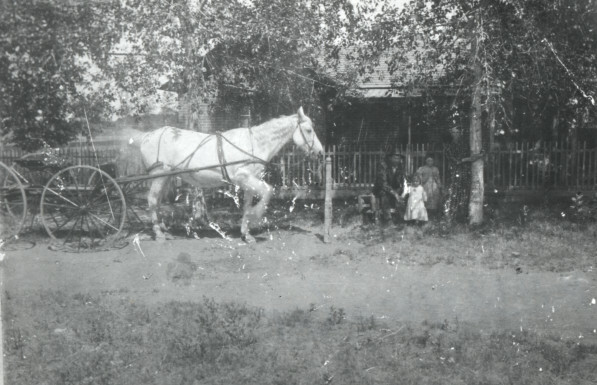 The oldest remaining house in Fort Collins is Auntie Stone’s cabin. Even by the early 1900s its significance in the history of the city was recognized. It was called the Pioneer Cabin and used as a meeting place by the Association of Pioneer Women (an organization that continues to this day). 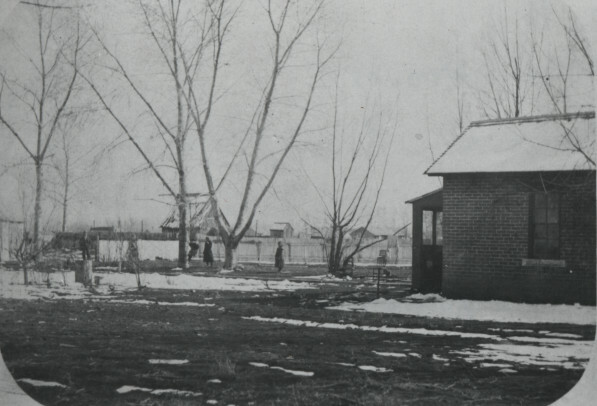 There were a few other cabins within the present day city limits of Fort Collins that were around even before Auntie Stone’s Cabin, but they are all gone now. The next oldest remaining house in the city might very well be a house you’d never think twice about if you drove past. It has no landmark designation and its provenance (earliest known history) is somewhat murky. The house is located at 406 Stover. Photo from the Archive at the Fort Collins Museum of Discovery (#H11341). Auntie Stone’s cabin was built in 1864. 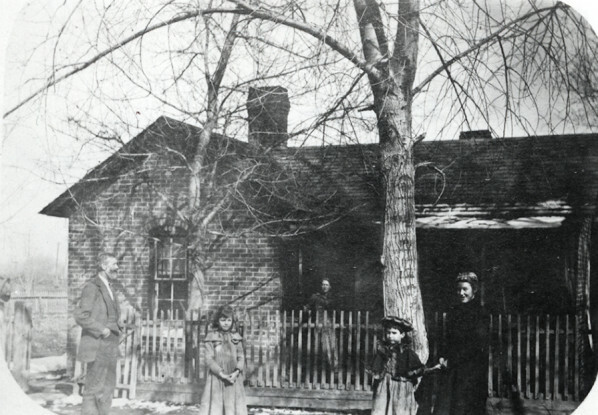 The house at 406 Stover, according to the Larimer County Assessor Records, was built in 1868. Unfortunately, it’s entirely unclear who built the house or lived in it before 1888. 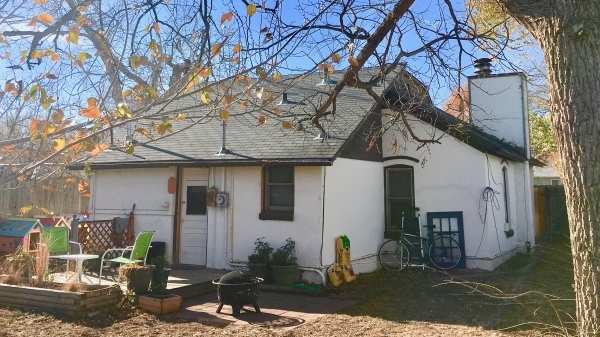 But it’s possible… according to hearsay… that the house belonged to John and Emily Coy, homesteaders who settled along the Poudre river two years before the Fort was moved down from Laporte following the flood of 1864. 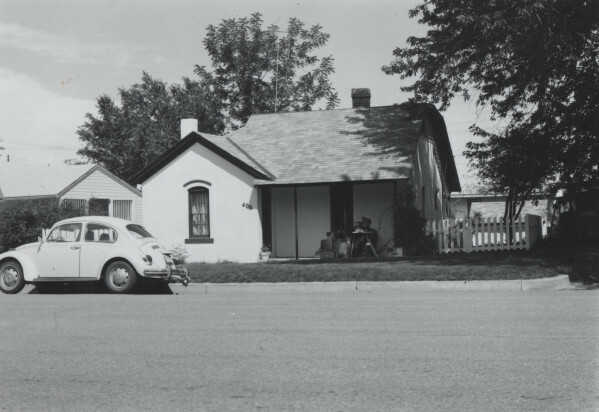 The note attached to the above photo on the Fort Collins Archive website describes the picture as follows: “Black and white photograph of a house located at 406 Stover Street. This may be the Coy Residence. 5 unidentified people are in this photograph.” That’s not a whole lot to go on. When photos aren’t labeled, then stories may get handed down from generation to generation, but by the time someone realizes that a photo might have significance, all of the important details have been lost to the passage of time. Based on the size of the tree in front of the house in this photo as compared to the previous, this picture is probably older. But both are labeled as being circa 1885 on the Archive website… another example of information that has been forgotten. Photo of 406 Stover from the FC Archive (#H11342). But… that only describes the passage of the land from one hand to another. It doesn’t tell us when the house was built on that plot of land. So I must conclude that this house’s connection to the Coy family remains only a matter of hearsay. But in researching the Mables, I happened upon a whole new avenue of intrigue. William Mable’s wife, Annie, passed away unexpectedly of heart problems when she was only 52. They had six children, two boys and four girls, although two of the children appear to have died quite young. William remarried a widow by the name of Daisy who already had three children of her own. They had four more kids (two girls, two boys). At some point, the Mable’s house at 406 Stover was given a pretty substantial addition. Given the number of children William had, it could be that he needed the added space, although the style of the added sections look like the work may have been done since the time of the Mable family. This side view shows the upper story addition fairly clearly. The original brick house has been stuccoed over, and an addition with shingle siding was made that adds a second story on top as well as additional space in the back of the house. The chimney appears to have been updated in the 1960s or 70s and a large skylight was added. The old house can be seen clearly peaking out from behind the newer addition as seen from this alley view of the house. 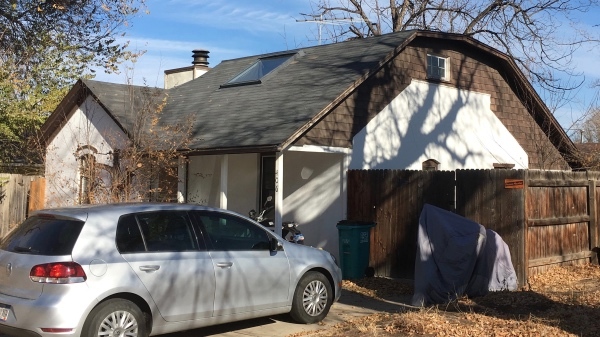 Despite the apparent age of this house and the connection to at least one important Fort Collins resident and possibly one of the founding fathers as well, this house has not been landmarked. But the very fact that it is still standing when almost every one of it’s peers has been long demolished is a phenomenal feat. The age of the house was determined through the County Assessor website, which is often only as accurate as the person the early assessor spoke to when the county was first gathering information on the house. The connection to the Coy’s is tenuously made through the FCMoD Archive description on the photos of the house and more substantially made through the title documents in the Archive’s vertical file on the Coys. The information on the Mables came from various sources. They’re listed in the title documents mentioned above. I gathered several dates and a chronology of their lives through Ancestry.com. The Colorado Historic Newspaper site also provided information through Annie Mable’s obituary which was in the Fort Collins Weekly Courier on April 25, 1913. 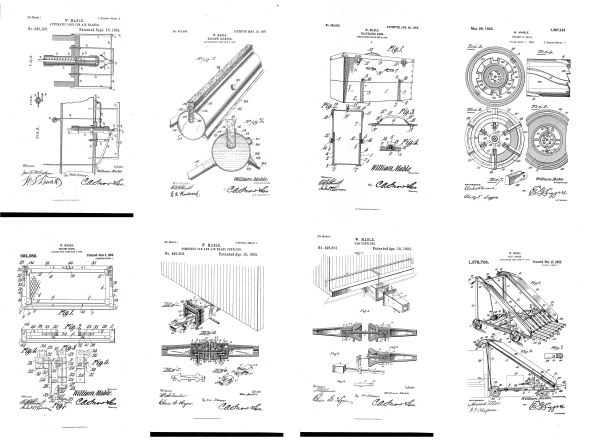 William Mable’s patents can be found through Google. The style of this house reminds me a lot of Harkless Hicks’ house, which was torn down just a couple of weeks ago in preparation for the building of 320 Maple, a mixed-use, residential development.